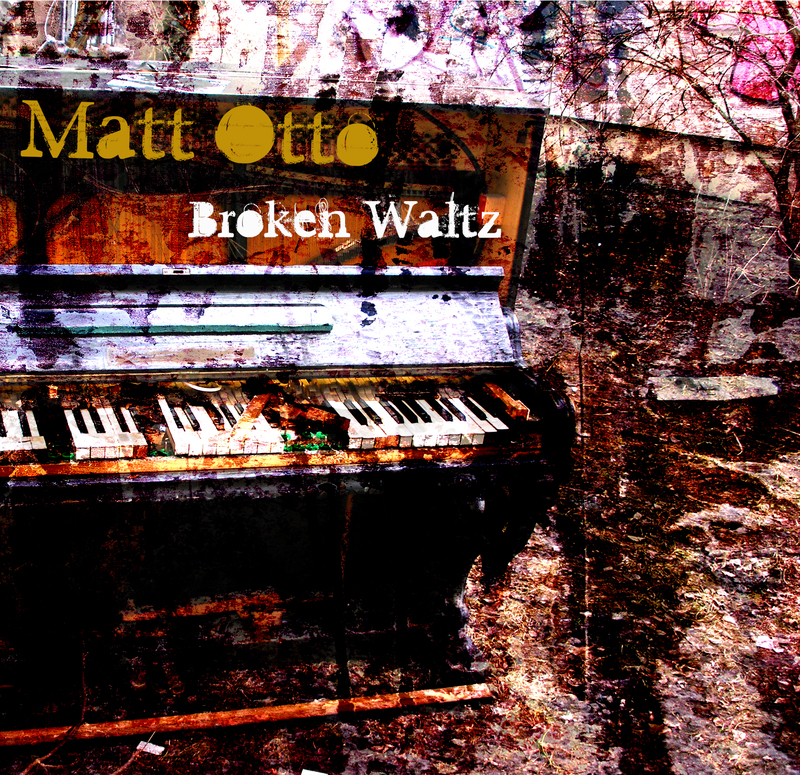 Matt Otto is Kansas City based saxophonist, educator and blogger who has been featured many times on this blog. I've known Matt for over twenty years and we still play together on occasion. In August Matt will be coming out to Portland to do a few gigs with me at the Camellia Lounge and the Blue Monk. He will also be doing a master class on August 5th. Email me if you are interested in registering. I will be posting more information about that class soon. 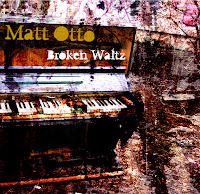 Matt has been releasing his recent CDs exclusively on his blog, which happens also to be one of the best Jazz educational sites on the internet. Otto is asking his blog readers to send him a donation for any amount, in return he will send a link to download MP3 or FLAC files along with Concert PDF charts for all 10 tunes! The recording is beautiful, the playing is killing and the tunes are really interesting. I am really looking forward to playing some of these compositions when Otto comes to town. Otto is one of the leading tenor saxophonists of his generation and if you haven't checked out his educational website you should see all of the great free lessons he has posted. Last weekend I played a gig with a group called The Lawrence Williams Project, which I have co-lead with pianist Dan Gaynor for almost ten years. Lawrence Williams was a close friend of ours who passed away about six years ago. 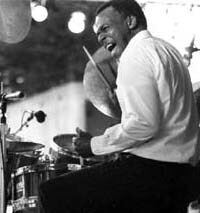 He was an incredible drummer and an equally great Jazz composer. We try to keep his music alive by performing it once or twice each year, but I also thought I would post some of the charts here on this blog so more musicians around the world could have the experience of playing these beautiful tunes. Tonight I listened to David Demsey describe Joe Allard's teaching method in great detail. This was one of the Bulletproof Saxophone Method lessons and I have never heard anyone relate Allard's concepts so well. I have posted several articles about Allard's system on this blog (Allard Unveiled, Allard Overtone Exercises, Allard videos) and I think that any saxophonist would be making a big mistake to overlook the ideas of this master teacher. Allard really stressed overtone work and Demsey describes why this sort of work is so important. I recently got a keyless saxophone and have been working with it for a few months. I always knew that overtone work was critical and I always teach overtone exercises to my students, but I never really spent a ton of time working on overtones until I started working with the keyless sax. I noticed a huge change in my control and quality of my sound in just a few weeks of regular overtone work. I wrote a bunch of overtone exercises and will post them soon. 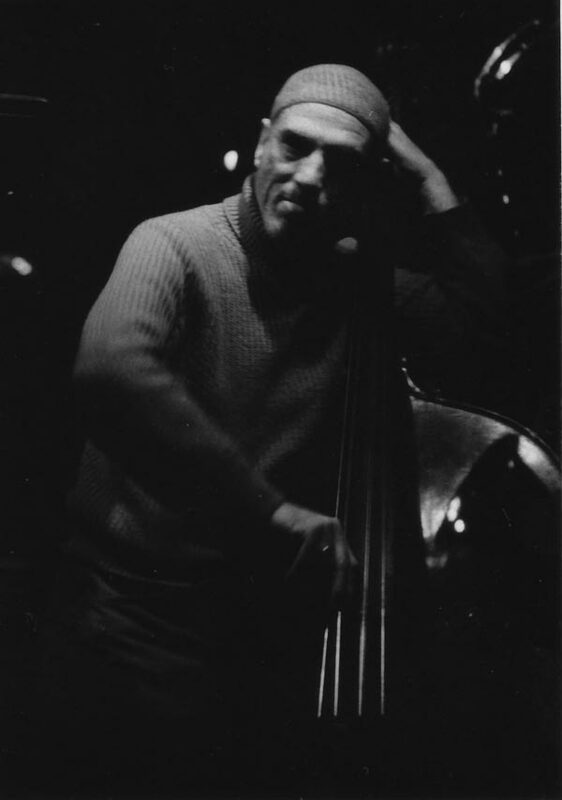 When I was just sixteen years old a bassist named Ted Wald moved to Santa Cruz (were I grew up) from New York City. Ted had been in the trenches of the NYC Bop scene for 40 years before leaving the city to follow a young girlfriend out west, and to seek a healthier lifestyle. Ted was a true old school Be-Bopper who had played with a who's who list of Jazz greats, including Bird himself. I felt a little closer to the smokey clubs of NYC when ever I played with Ted. Ted always had a million stories of about all the cats he had played with. He was one of the few white musicians in the circle of players that he ran in. Ted was also the first white Muslims, maybe even the first Muslim, that I had ever met. Ted never really spoke much about his faith and I didn't really know what to ask him since I hadn't been exposed to that culture, having been raised in a lilly white California beach town. Ted was also the first bassist I'd played with that refused to use an amplifier, which for him was also sort of a religious belief. Ted knew a ton of standards and he never cared what key anything was played in. He didn't read music and every solo he took was a walking solo, old school all the way. One name that constantly came up in Ted's stories was Clarence Sharpe, who he usually just referred to as "C" Sharpe. Ted had played with Sharpe for years and had the highest respect for him. He would always say that Sharpe was the baddest Bebop saxophonist in NYC, despite that fact that he had no teeth and played wildly out of tune. I could never fathom how a guy with no teeth could ever play the saxophone at a high level, let alone be the baddest cat on the scene. I guess I figured that Ted was exaggerating a bit, turns out that he wasn't. I had always asked Ted if there were any recordings of Sharpe and he had lost the only bootleg that he had. 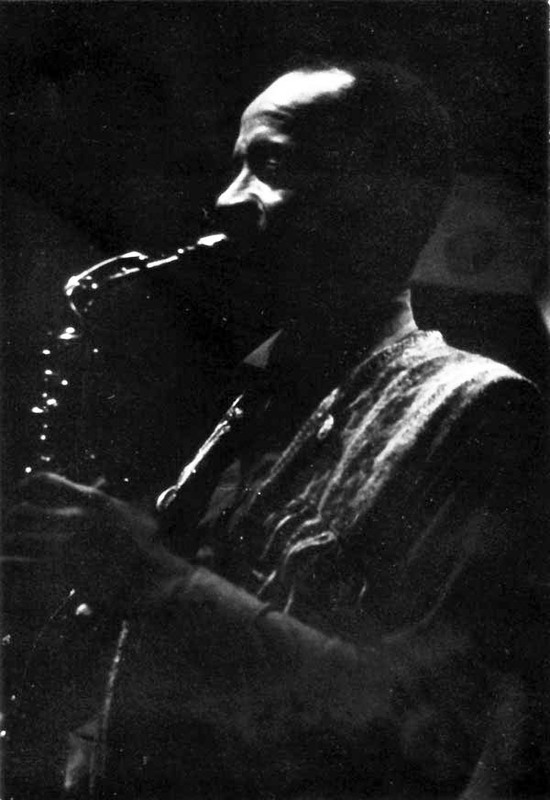 Sharpe had recorded on a Lee Morgan record called Indeed, but that apparently wasn't a good representation of his playing. Sharpe had struggle with heroin addiction for many years and that may have been a factor in his failure to get a recording career off the ground. Of course the fact that Sharpe had wildly erratic intonation, because of his lack of teeth, couldn't have helped his mainstream marketability either. I ran into a post on Face Book the other morning by saxophonist Alex Hoffman about Sharpe. Alex had posted a link to a blog called Crown Propeller that posted a bootlegged recording of Sharpe playing with Ted Wald, Walter David Jr., Lonnie Hillyar, and Jimmy Lovelace at a club called the Tin Palace. The recording is a bit rough and you can hear some clear conversations while the music is playing, which is actually quite interesting. The band is burning, but Sharpe stands out, despite the expect intonation issues he is a monster. I finally understand what Ted was raving about. First thank you, thank you, thank you. I miss those guys. I am the only one left. Maybe Sharpe didn't know anybody was recording us because for a long time people were begging us to record and Sharp was not about doing it because he didn't have any teeth. (He had portable ones which used to come flying past me in the second tune whenever we played.) I spoke to a piano player, Tardo Hammer, who said to me, "Man, Bird Lore, (the C-Sharpe Qunitet) was bad. Maybe the baddest in New York at the time." I saw some blurb on the tube about some critic named Parsells who made it his business to hear that band in '79 or '80. I do have a tape somewhere in my belongings. I had others but someone swung with a tape of Sharpe, Walter Davis, Jimmy Lovelace and myself playing "Pennies from Heaven". I do appreciate what you sent. P.S. Also Thanks to Stanley Crouch for ever booking us. Sharpe was mostly surviving tutoring and teaching at the University of the Streets. Mostly he was a living legend and my friend." 105 Minutes with Clarence "C" Sharpe.